Rundown: She-Hulk is the leader of an all-female government, in charge of commanding the sentry and protecting the borders of Arcadia. 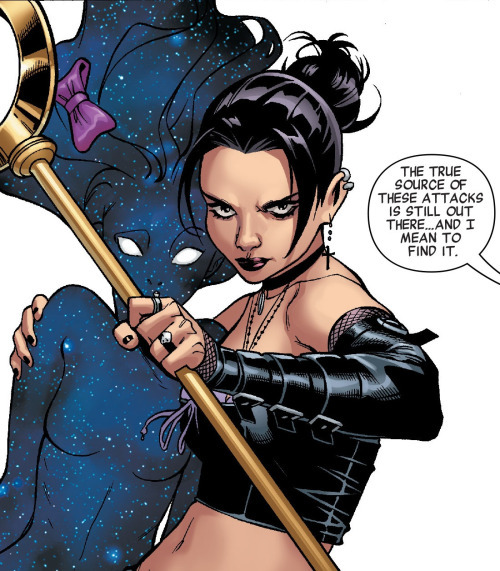 Other prominent members of the team include Dazzler, Medusa, Nico Minoru (Runaways) and a new character named Singularity. “In the vast oceans of our planet, isolated from the forbidden domains of Battleworld… there is an island. Our island is red roofs and friendly dogs, green hills and water blue as heartache. It is bells at dawn and bells at dusk, rising towers of stone and silver, clay and chrome. It is its people, the good, the bad, and all the rest of us. Doctors and lawyers, teachers and thieves, scientists, artists, musicians and mystics, brothers and sisters-in-arms — heroes and villains. Family and friends. In the shadow of the shield, with the sun on the sea… There is an island. So basically, Doom smooshed a whole bunch of previous worlds together and is holding them in place via a verrrrry thin theological brainwashing of sorts. What could possibly go wrong? Baroness She-Hulk begins the day by sending out a patrol to make sure Arcadia’s borders are secure, the way they always do (they are within the confines of something called the “Shield,” and the society does contain males, for the record). Something strange has occurred, however, as a giant shark has appeared just off the shores of Arcadia. 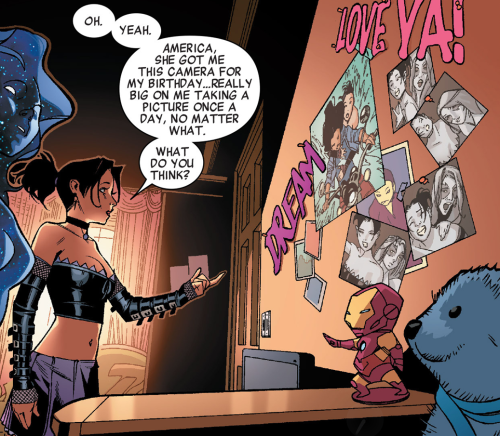 America Chavez (aka Miss America) does what any rational person would do, and tosses that sucker through the Shield, over into the next domain’s territory. 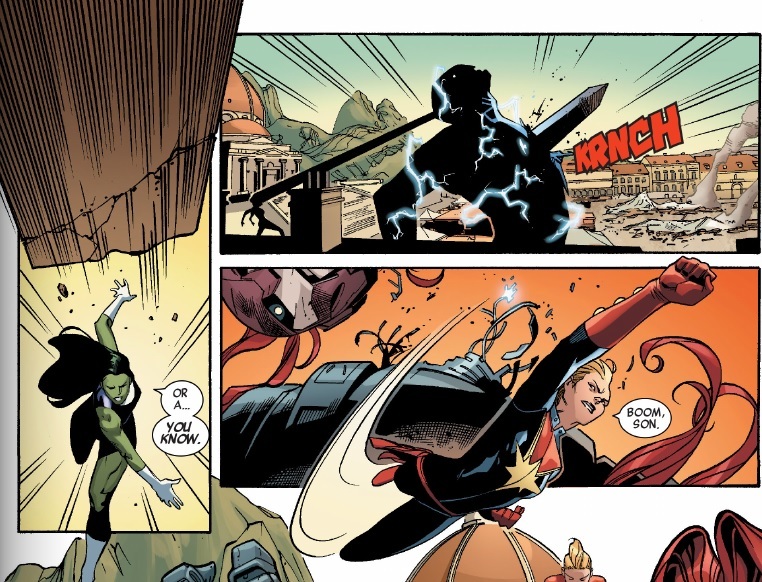 This is apparently a huge no-no, and one of the Thors – Doom’s Battleworld-wide hammer-wielding police service – comes to arrest her, instructing She-Hulk to punish her appropriately. 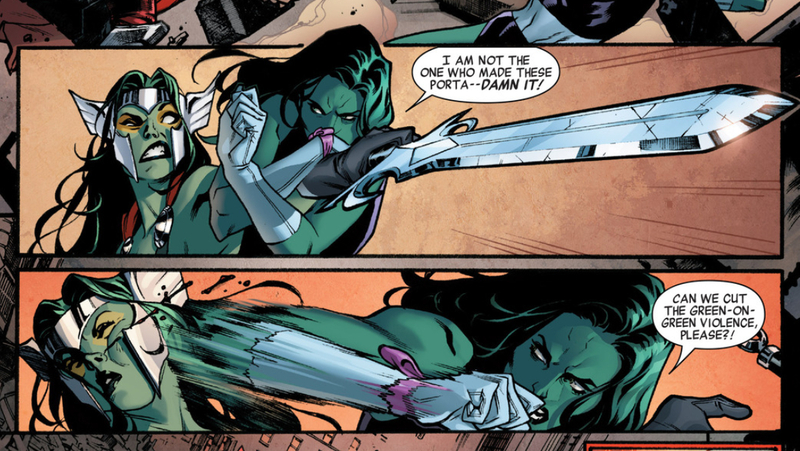 Not wanting to invite the wrath of Doom, She-Hulk complies, and banishes America to the Wall to live in exile. Unsatisfied with the situation, She-Hulk enlists the help of the Sub-Mariners (Namor, Namora, & Namorita) to discover the source of the attack. Nico does not handle this well, believing She-Hulk made a terrible judgment, and runs away in protest. In her wandering, she comes across a new, seemingly mute, character who has literally just fallen out of the sky: Singularity. The Sub-Mariners report that the shark came through a portal, which closed almost immediately, leaving no clues as to how it got there or why. Nico leads Singularity to her home, that she shares with America and Loki, who discovers the two of them hiding, and insists the newcomer be introduced to She-Hulk. Medusa attempts to restrain Singularity to learn more, but it distresses her. At that moment, another portal opens up overhead, dropping a Sentinel into their midst. The ensuing fight ends with an impaled Sentinel – but also with an alarmed Medusa, who still doesn’t trust Singularity’s powers, even after seeing her somehow teleport civilians to safety during the battle. Due to her frankly inexplicable nature – though tangible, Singularity appears to be made of stars, and her powers are mysterious – some are quick to mistrust her, believing her to be the source of the portals. Nico and She-Hulk defend Singularity, preferring to presume the best in their new friend. In order to find the true source of the mysterious robot/portals, and so as not to exile any more innocent Arcadians, She-Hulk flies through the portal to investigate it herself. She-Hulk ends up in an apocalyptic Manhattan, only to find more Sentinels and three Thors (Sif, Valkyrie, and Gamora) who attempt to arrest her rather than fight the Sentinels. She goes back through the portal to Arcadia, and notices that’s where the portal’s magic originated, which means there is a traitor in their midst. The Thors follow She-Hulk to Arcadia to arrest her (or worse). Medusa appears to turn on A-Force, only to instead toss the Thors through the still-open portal. Gamora, however, manages to hold onto a few strands of Medusa’s hair, which she uses to send a charge all the way down to Medusa, killing her. She-Hulk, now a fugitive, resigns as baroness, issuing one final order: to ensure the safety of Arcadia by warning its inhabitants that they are no longer safe. Storm creates a fog so she can hide from the patrolling Thors while she roots out the traitor. In the meantime, Nico shows the others how Singularity can help them hide – somehow within her. Fiction and reality differ very greatly on this topic. As It is A-Force’s most defining feature, it is the most obvious concept to discuss. The concept of a female-only society goes back thousands of years, but was a rare occurrence even then, as it is today. And unfortunately, the further back one goes in the historical record, the harder it becomes to distinguish fact from myth. Once an example is established, the discussion then turns from “whether or not it could happen” to “how well it stacks up against male-led societies.” I.e., How good are women, really, at governing themselves? Additionally, all or most of these examples still situate their discussion of all-female societies in a context of, or in direct contrast to, contemporary patriarchies for the purpose of real philosophical and political debate (arguably, A-force does fit into this category as well). 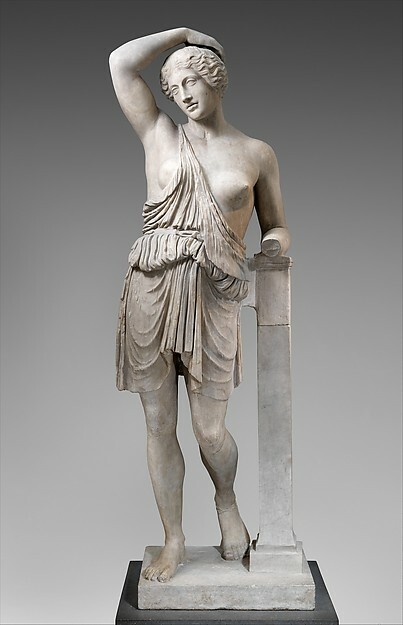 Of all the fictional female-led societies, one thing remains almost universally true – aside from Wonder Woman’s Themyscira, (one of the best-known, coming from a comic book universe, and heavily influenced by the Amazons of Greek legend, no less) they never last long in popular culture. I would like to think there’s a better explanation for that besides the obvious: that most men don’t want to hear about women in power, especially not the enduring, successful female-led societies that actually exist (rather than the overtly sexualized cuddling sessions, or whatever it is they think we get up to when they’re not around). But unfortunately, men’s interests dictate market trends and popular perceptions in most regions, so I doubt there is one. That’s why A-Force’s popularity and longevity are surprising to me. When I worked at a comic book store in Ottawa, Canada, the vast majority of men to whom we’d recommended A-Force opted out of buying it in following months. Almost none chose to keep it after the first issue. 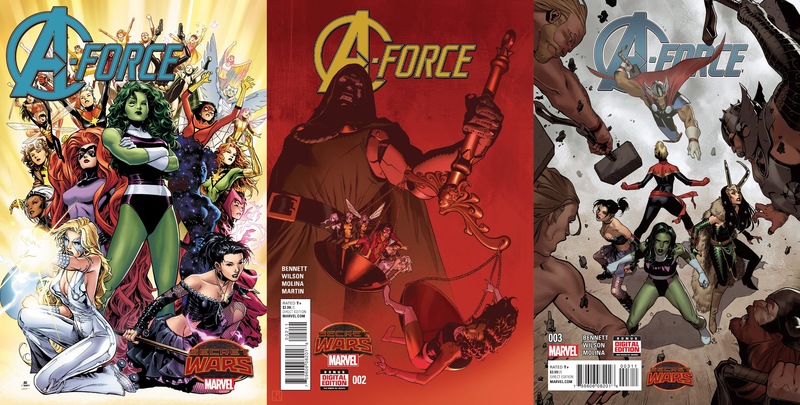 Sure, comics are expensive, and there are a lot of Secret Wars tie-ins… But I still found it disheartening that so many men were willing to cut A-Force from their subscriptions without even giving it a chance. The concept of an all-female society is still a huge deterrent for a lot of men, so I applaud Marvel for not being afraid to invest in it! 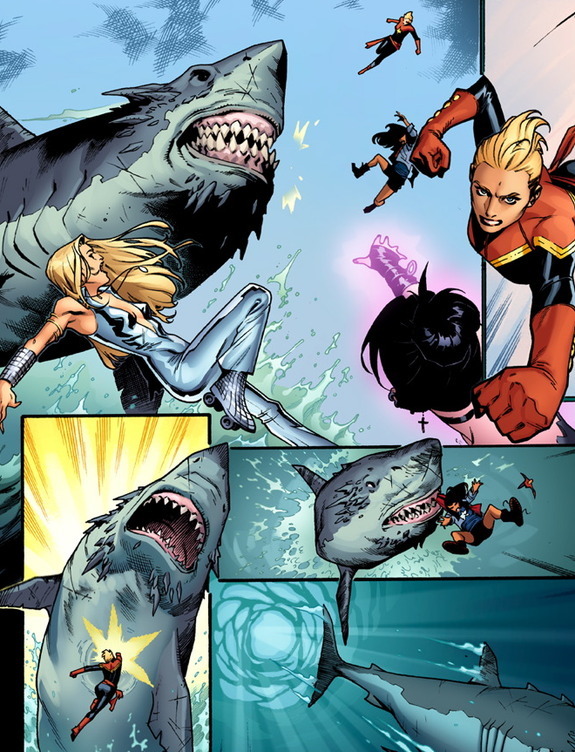 One of the greatest things about A-Force is that there is none of what some people like to affectionately call “cat fighting.” That is, the stereotypical phenomenon of women in close confines inevitably dissolving into “catty” behaviour – spiteful, childish, dramatic, sometimes violent – you know what I mean. The image I attached from A-Force issue #3 references this, with She-Hulk tiredly pleeing with Gamora to reject the cliché. It’s so common a trope in movies and television that it’s almost expected to happen when one or more women share a cast. The same phenomenon occurs amongst male characters as well, but for them, the terms are far more general: “fighting,” “politics,” “plot device,” etc. But for us ladies, it’s called “cat fighting,” which both diminishes the validity of the arguments, and the people making them as lesser, due to its aforementioned spiteful, childish, and dramatic qualities (read: “feminine,” because remember, men are engaged in regular “fighting”). The term has not only been used to trivialize women’s issues, but has also been used as yet another overt tool to sexualize the disputes between women, as though the only semi-valuable thing to be gained from a female-vs-female altercation is an erection. This removes even the platform of “debating amongst ourselves” when it comes to the discussion – and therefore eventual solution – of women’s issues. A-Force does a good job of developing the dynamics between its characters – even the ones who are gone. It’s like we can’t spend 5 minutes together without having to be the prettiest girl in the room, am I right, ladies?? Ugh. Thankfully, A-Force presents a whole team of cooperative women who have accepted She-Hulk’s position of authority and support her during the trials she faces, even if they do not always see eye-to-eye: a disagreement between her and Medusa (speaking of Greek mythological references) – a powerful character who has been in a leadership position before, and is therefore highly critical of She-Hulk’s managerial style – ultimately leads to She-Hulk investigating the other end of a portal herself, rather than unnecessary melodrama. A leader, not a villain. And in turn, She-Hulk is not made to fall into another of the typical empowered-female tropes: tyranny, and inevitable abuse of power! The standard literary examples of “evil queens” and “wicked witches” would probably be enough, without going into the mythological realm, and recalling the fatal flaws of the so-called goddesses (Hera has a particularly bad reputation,) or the “seductresses” and various other ill-behaved womenfolk of the Abrahamic faiths. And that’s just fiction! Throughout history, the “empowered female” has been something to be feared and avoided, far more than embraced and championed. Yet, in A-Force Issue #2, Loki stumbles when referring to the incident involving America, first presenting it as something She-Hulk did, then correcting herself by saying it was something that “happened,” thusly removing the blame from She-Hulk, out of respect for the burden she carries. So here, in Arcadia, we have the best of both worlds: a brilliant, powerful female leader with a rational team of well-intentioned warriors, all of whom are capable of working together, despite their various disagreements. MIND-BLOWING. Supersition Side-Note: I like how the writers pulled in a sort of “mob mentality” when it came to whether or not Singularity should be exiled. This Battleworld Arcadia Doom has created is not unlike other small, isolated, highly religious communities that have existed throughout history. And we all know how susceptible people can be to mob rule in situations like that. Frankenstein is a very convenient example. Plus, if we’re arguing that a female-led society would be just as susceptible to superstition as a male-led society, the annoying anti-feminists out there can’t accuse Marvel of having a gender bias! 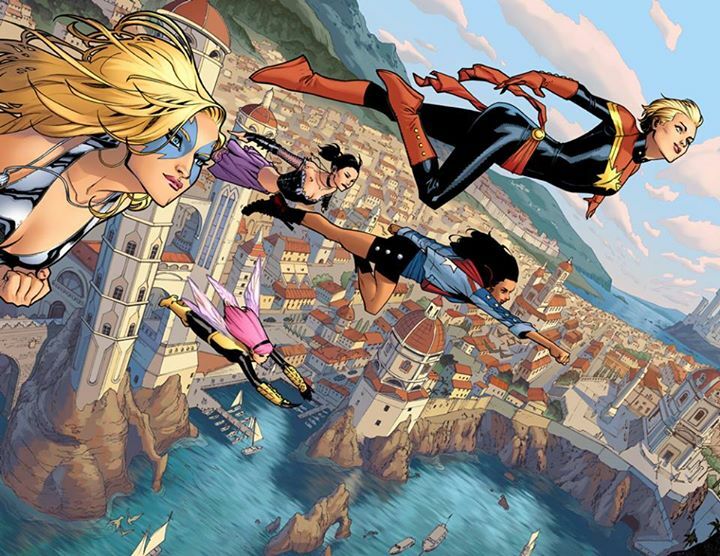 Overall, A-Force is a great feminist comic. The visual representation of women in comics in general still needs work, so I would be remiss if I didn’t mention it at all, but in the context of the greater narrative, I’m willing to overlook it for the most part here. 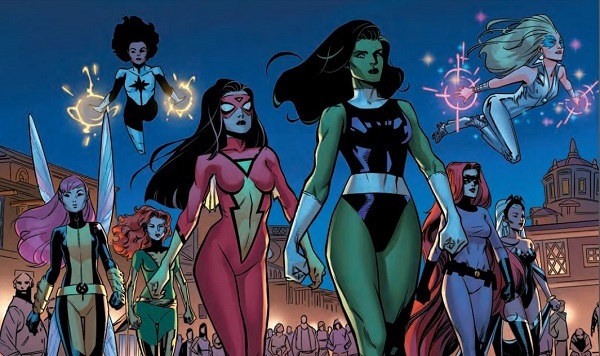 Yes, they are still unrealistically proportioned, and wear impractical clothing, but I find the character’s choices and thought processes are given much more emphasis over their appearances in A-Force, as it should be. This is what we’ve really been asking for when it comes to female representation. I highly recommend it for feminists who are just starting to get into comics, as the Secret Wars settings allows you to start with a blank slate in Arcadia, and the huge collection of amazing female superheroes offers a crash course in name-learning. 8 STARS.